When on a road trip, one of my kids is going to throw up. Oddly enough, this is not a truth in which I find comfort. It started the first time I switched Joseph to a front facing position back when the recommendation was one year old. Five miles down the road, he began crying. Less than a mile after that, I heard the distinctive retching coming from the backseat. Over the last five years, not a single road trip has been complete without one or the other getting car sick. Since I'm sure this is true of many of you, I thought I'd share some of my tired and true tips to surviving Road Trip Blight. Buy an extra car seat cover. When you child vomits all over the one they're sitting on, it's nice to have a spare so they spend the rest of the trip sitting on a wet seat. Take lots of little breaks. They may extend your trip a bit, but it could also get you to your destination vomit-free. Make weak ginger iced tea for their sippy cups. Believe it or not, this can really help settle their tummies before they get to the point of no return. Toss a couple beach towels in the back seat. Those things are super absorbable. For those moments when absorbing needs to happen. No matter how short or long the trip, have a couple changes of clothing handy. 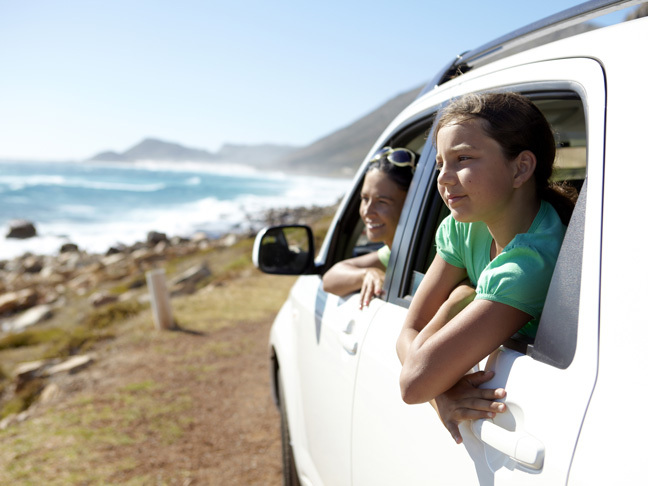 Do you have any tried and true tips to help make a road trip with car sickies more bearable?